Cut the Cord. Stream camera video wirelessly. 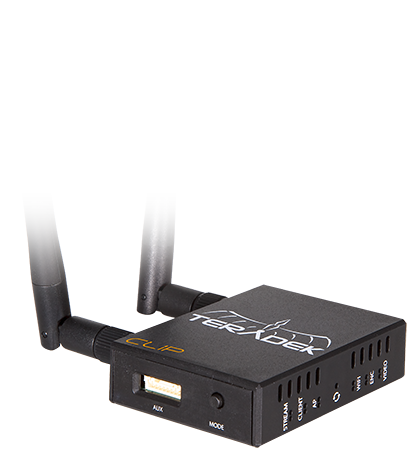 Teradek Cube encoders provide a powerful, compact wireless solution for local monitoring and proxy recording. MovieSlate can connect to a Cube and monitor its video stream. Switching between available Cubes on the network is fast and easy. Tile and organize streams in MovieSlate’s Video tab using drag gestures on the iPad. Zoom an individual stream by double-tapping. The world’s smallest and lightest H.264 transmitter streams directly to MovieSlate for real-time monitoring and logging over it’s built-in WiFi access point. 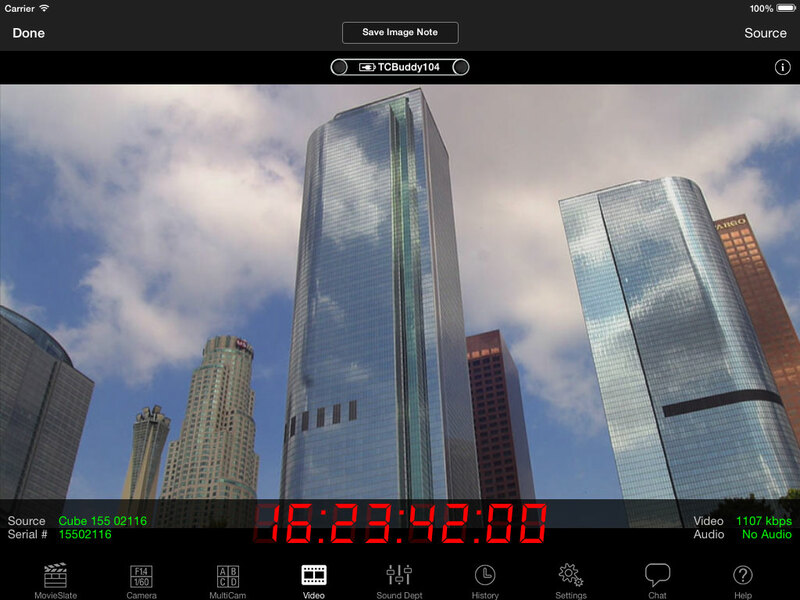 Imagine logging your UAV shots with timecode, stills, and notes in MovieSlate! Watch. Take Notes. Capture Stills. 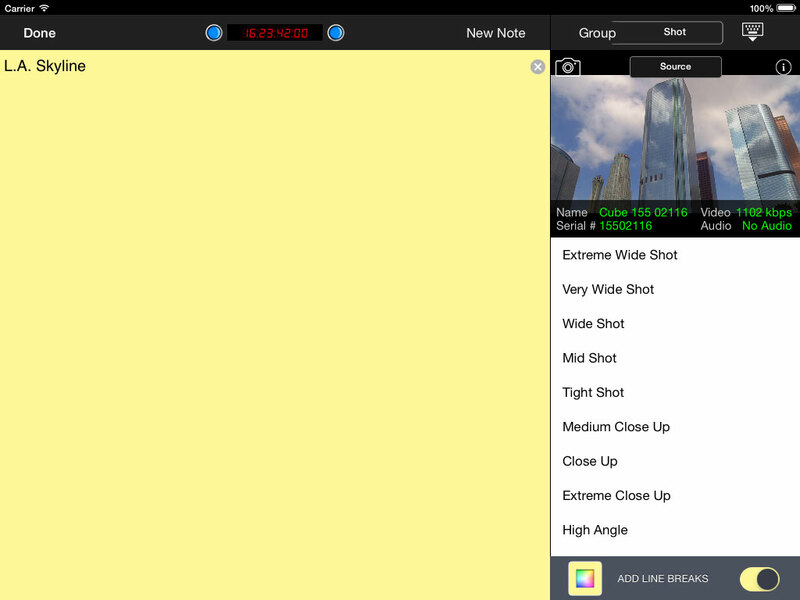 The camera’s video stream is a great reference while taking log notes on iPad. Tap the camera icon to save a frame grab with your note— which accompanies reports. Monitor Camera Video + Timecode. 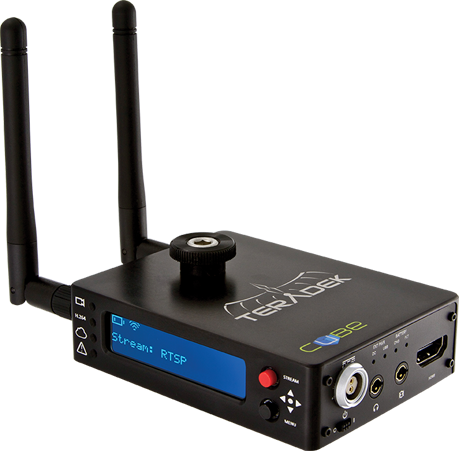 Connect to a supported Teradek unit over WiFi, and monitor streamed video from its camera— fullscreen. Optionally display MovieSlate timecode & Teradek device info.